It took 70 long years for Hawking's to understand that "Women. They are a complete mystery." In an interview with New Scientist, Stephen Hawking was asked what he thought about most during the day. In a classic, age-old form, he replied, “Women . When New Scientist magazine asked "Brief History of Time" author Stephen Hawking what he thinks about most, the Cambridge University professor renowned for unravelling some of the most complex questions in modern physics answered: "Women. They are a complete mystery." The wheelchair-bound Hawking, who only recently retired from a post once held by Isaac Newton, talked to the magazine in the run-up to celebrations for his 70th birthday about his biggest scientific blunder and his hopes for modern science. Hawking is due to celebrate his 70th birthday on Sunday with a public symposium entitled "The State of the Universe" at the University of Cambridge's Centre for Theoretical Cosmology. 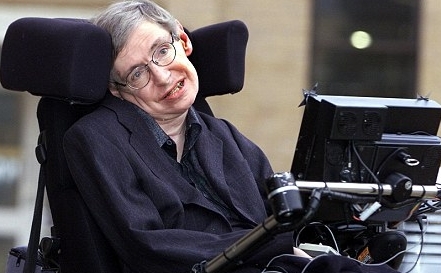 Hawking heads a list of speakers including British Astronomer Royal Martin Rees, Nobel Prize-winning physicist Saul Perlmutter and Kip Thorne, one of the world's leading theoretical physicists. The interview was in preparation for Hawking’s upcoming 70th birthday, for which the Centre for Theoretical Cosmology, University of Cambridge, is holding a symposium dubbed “The State of the Universe,” on January 8. Among being mystified by women, but not mystified by things we actually don’t understand, like black holes and time, Hawking answered a few more questions, almost equally as entertaining as the aforementioned one. When asked what he felt his biggest blunder was, he replied that thinking that information was destroyed in black holes was his biggest blunder — at least his biggest scientific blunder — and was proved wrong back in 1997. So, yes, one of the most brilliant minds alive today understands time and space and black holes leaking information back into the universe, but not women.